Have a sweet tooth and the desire to push the boundaries of what you wear? 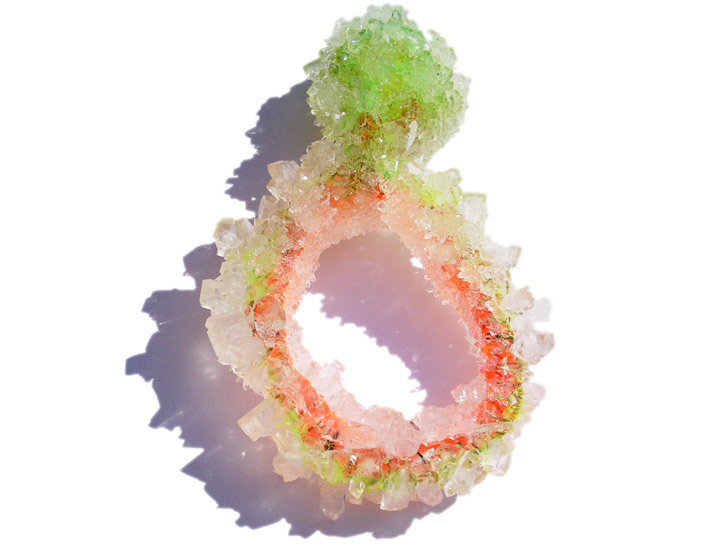 British designer Natalie Smith brings the concept of interactive, wearable art to a whole new level with her sugar-encrusted jewelry. 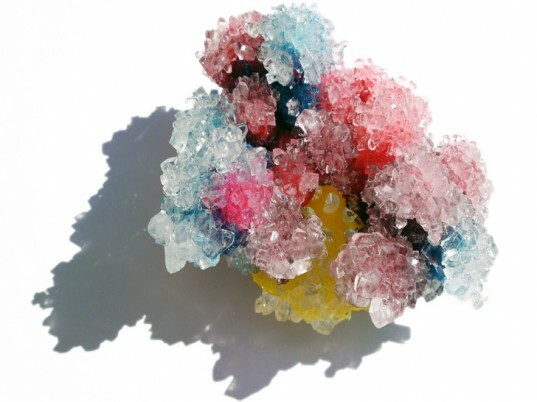 Drawing inspiration from apocalyptic fiction and themes of impermanence and disintegration, Smith turns colored sugar crystals into incredibly unique brooches, rings, and necklaces. Once complete, each piece begins a transient life dictated by the environment in which it's worn. To wit, the more humid the conditions, the faster the sugar crystals melt, change color, and reveal the combination of textiles and metals beneath their sweet facade. Each sugar-encrusted bauble begins a transient life dictated by the environment in which it is worn. Fast making a name for herself, Smith received a special mention in the Preziosa Young Contemporary Jeweler Exhibition in 2010. She’s also showcasing her designs at a number of European jewelry trade shows this year and is scheduled to appear in the North American publication Fresh: Metalsmith in Print 2011. Looks like Smith is in for a very sweet year ahead.